Hi guys I am new to this site. 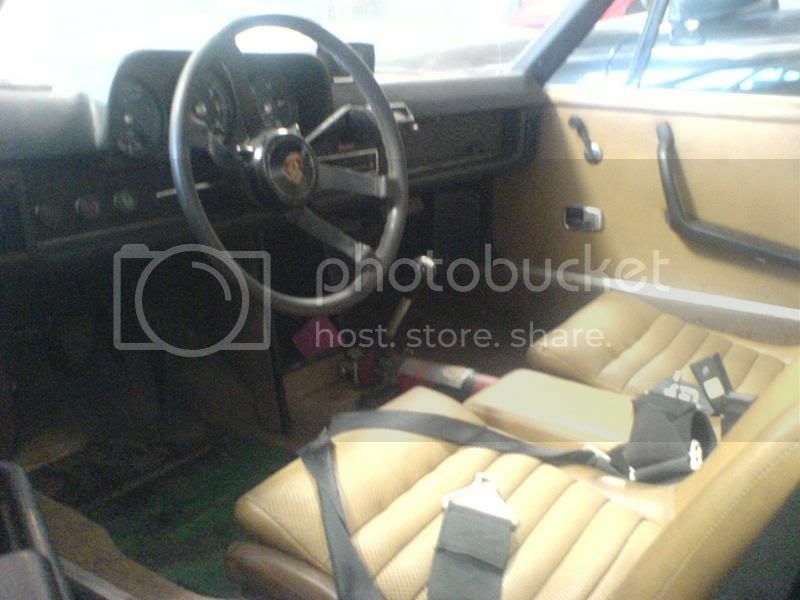 I have a 1973 porsche 914. Its the 2.0. My dad purchased the car back in 1976. The car was restored about 5 years ago. Anybody have an idea of what its worth? Not much goes on here for us mid engine guys...I guess it will take a bikini carwash to get things moving. In recent months of buying and selling 914s (Cali) the '73 and '74 2liters are the most sought after, except for the oe 9146, and sometimes well sorted six conversions. I've seen the '73s in decent (light to no rust) condition go for as low as $2,500 and as high as $10,000 and everthing in between. Same for the '74, basically the same car only got the extra 2 bumperettes added. The last 2 years '75 and '76 got hammered with EGRs and AIR smog pumps, which made these less attractive to 914 tuners that live in "Test states" cause you are forbidden to remove those things. Thanks for the welcome. I am currently looking for a set of 2.0 heat exchangers. My headers were stolen from my dad back in the 80's. He broke a valve guide back then and the car set inside the garage for 18+ years and a few parts got stolen....its a long story my uncle had a 914 and took some parts with out asking. You can't start a thread and not post pics!!!! I will be sure to get pics up somtime this week. 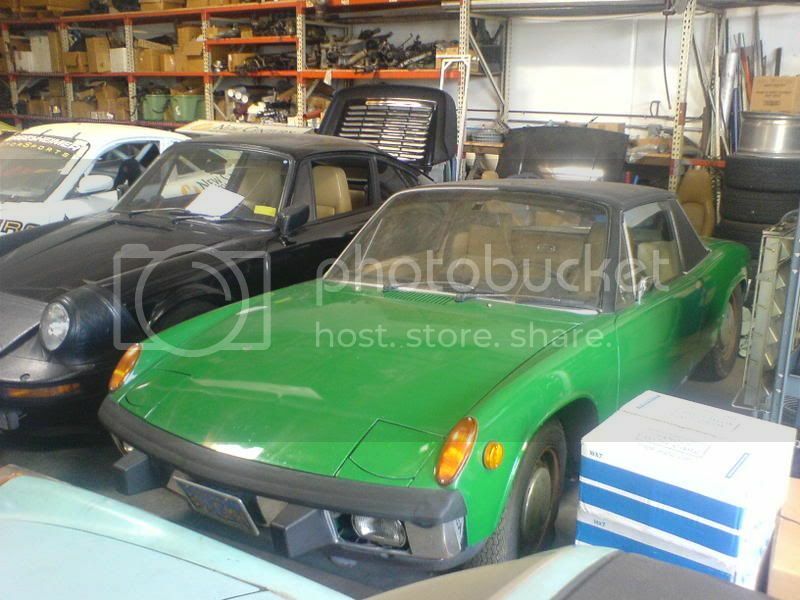 The 914 is buried under a ton of junk in my dads garage. I will go over there and uncover it later in the week. HA! Sorry I have not posted pictures yet I have been pretty busy lately. I will try and take some soon. 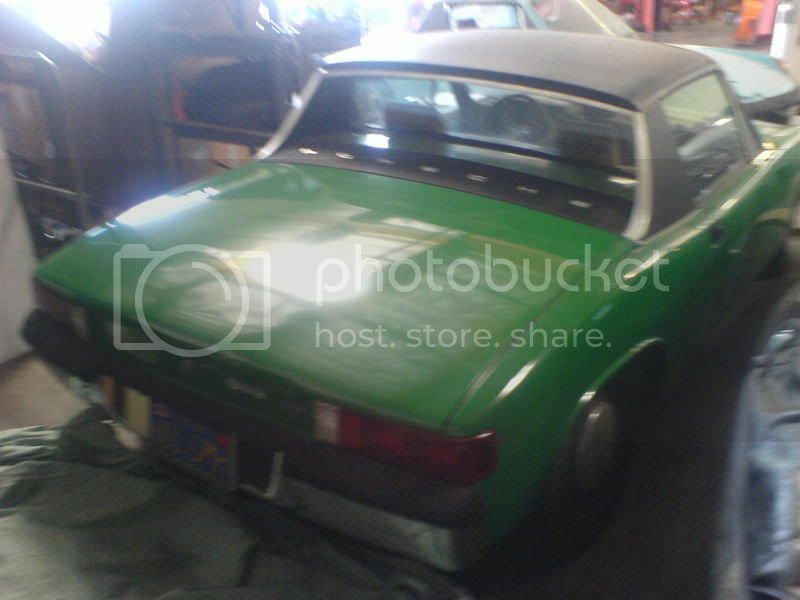 Tell me what kind of 914 project you have going!! I would love to see some pictures!. I've got a zambezi(sp?) 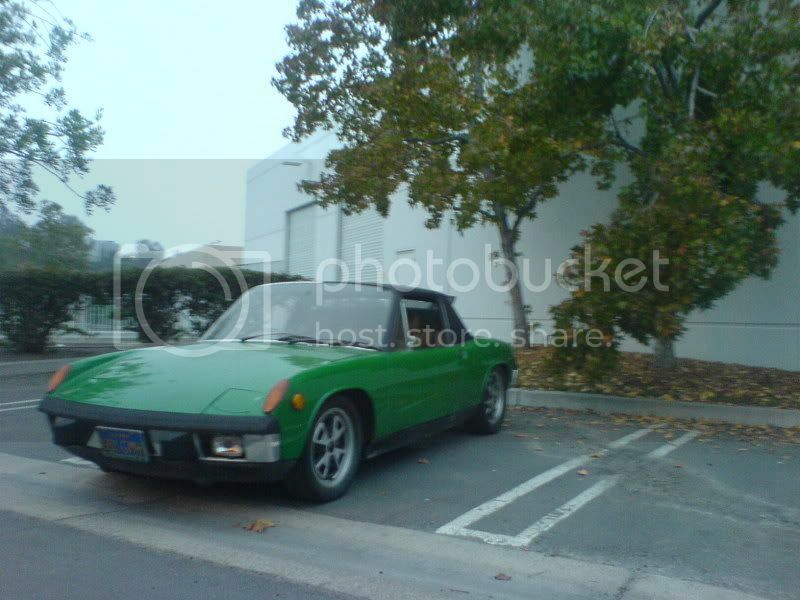 green 914 that I picked up about a year ago. I'm taking out the stock 1.7 to put in a 2.0L that is almost complete and ready to go in. It spends way too much time sitting under a cover in our shop. The chassis is in amazing shape and it should turn out to be a nice lil car. Production date of 08/72, has a perfect dash with no cracks, all the hard to find lil parts, original paint, factory radio delete(no antenna or cutout in dash) and NO rust. Actually, it's a lot nicer car than I planned on getting. I was looking for something to take to the track and be pretty hard on but I'm torn since it is going to be such a nice car when finished. Got some 2.0 alloys on the car. Also have new bilstein strut inserts in the front along with new bilsteins in the rear with new 180lb springs. I'm happy to be moving along on my project. Hope to be on the rode by the end of the year. Any progress on your ride? I sold this 73 2.0 with original fuel injection on it last year about this time for $ 9250. I would rate it a 8.5 - 9 out of 10.